These Tumbled Blue Topaz from India “Extra” grade crystals have a beautiful clear blue color. Blue Topaz crystals help to provide emotional support, repel negativity, and to cultivating the knowledge that “all is as it should be”. 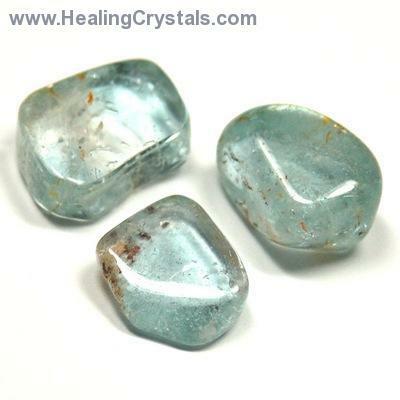 Topaz can be used as an aid to meditation and relaxation, and has been used as a protective amulet against psychic attacks and household accidents. The vibrant energy of these Blue Topaz crystals make them excellent aids when one needs to see their place in the universe and to understand the big picture regarding a particular issue.